Basic details on the website of the distillery and its whiskies, tours can be booked online. 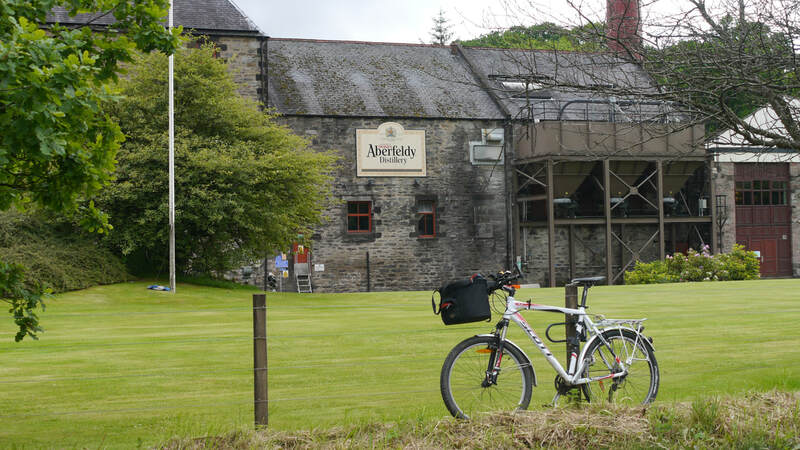 Aberfeldy is at the heart of the Dewar's blends, and any visit to the distillery leaves you with no doubt about that. 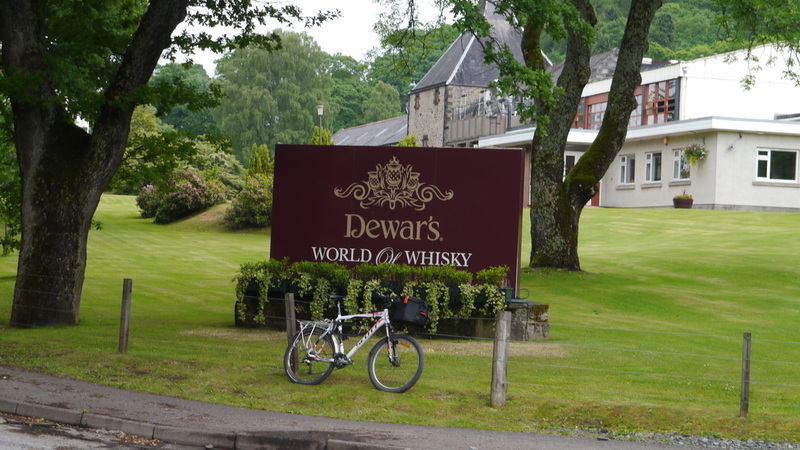 The distillery is branded as Dewar's World of Whisky. Basic tours cost £9.50 (concessions £8). The tour starts with a film about the history of the Dewar's blend, emphasising the larger than life character of Tommy Dewar who travelled the world popularising the brand. 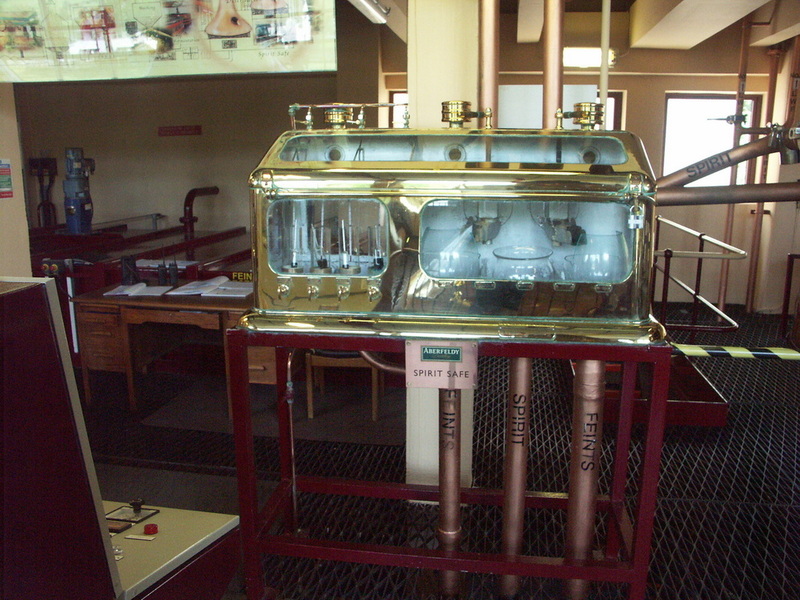 You are then taken to the interactive museum, which you could browse around for hours through documentation of the company in its early days; examples of its advertising, a quiz, a blending challenge and a nosing test. 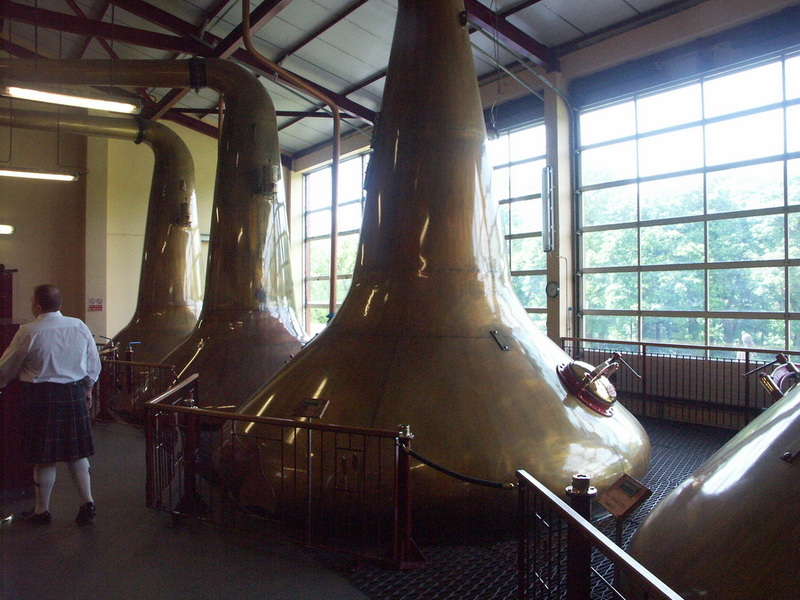 The tour itself is comprehensive, and on completion you are invited to try a dram. In 2012, I chose the Cask Tasting tour (now £17) which added a generous dram of 29yo Aberfeldy drawn straight from the cask, plus a tot glass. Prices reduced by £1.50 during silent season, see website. Two other tour options are available - Connoisseur Tour (£27), an additional 5 (15ml) drams; Blender's Tour (£75), bottle and take home your own 500ml blend. These tours must be pre-booked - tours can be booked online. The Visitor Centre also includes a coffee shop. 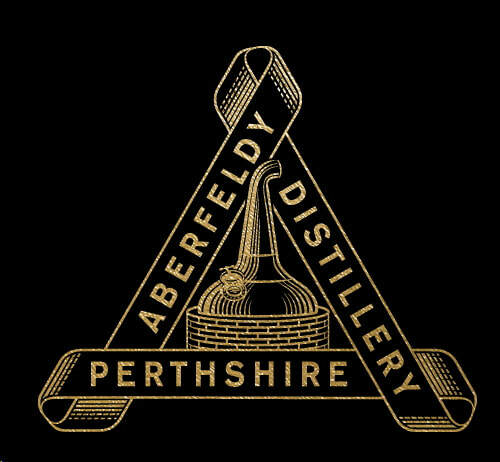 Aberfeldy is not photographer friendly, no photos allowed in any internal production areas, though photos are allowed in the warehouse. However, it was not always so, as I do have internal pictures from my 2004 visit. 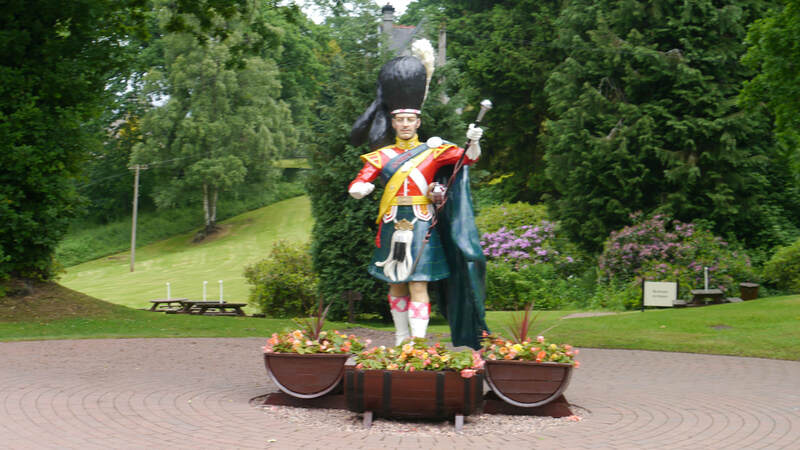 John Dewar, son of a crofter in Dull near Aberfeldy, became a wine merchant in Perth, who began blending whisky in the 1860s, and his blend became popular enough for his sons - John had died in 1880, and the firm was now known as John Dewar & Sons - John Jr and Tommy - to feel the need to acquire the license of a small distillery, Auchnagie (aka Tullymet), in the hills above Ballinluig in 1890 to ensure their supply of Malt Whisky. Tommy Dewar had been dispatched to London to promote the blend there, which he did very successfully, and he went on promoting it around the world, principally in a massive 2 year world tour from 1892. Auchnagie was now too small for their needs, and in 1896 they started building a new Distillery at Aberfeldy. The location was near the confluence of the Pitilie Burn with the River Tay and next to the Aberfeldy Branch railway. 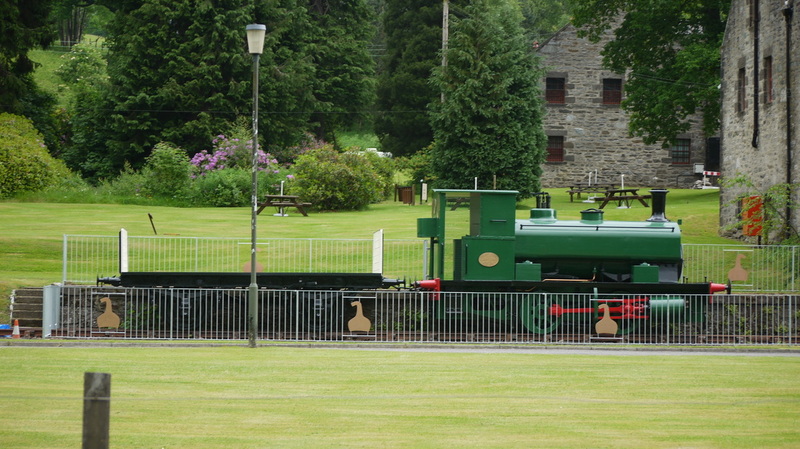 scotchwhisky.com's suggestion that the distillery had a private railway to Perth is misleading - the railway existed before the distillery was built - as with many other distilleries, it had a private siding connecting to the adjacent railway. 1862 map of site before the distillery was built. 1899 map.with distillery now built. Until 1867 there had been another small distillery (Pittiely) further up the Burn. The distillery was completed in 1898, another of the survivors from the late 19th century boom - and designed by Charles Chree Doig - famous for inventing the Doig Ventillator better known as Pagoda that still adorns the roofs of many distilleries. Tommy Dewar was the third person in Britain to buy a car. Though Auchnagie was closed in 1912, Dewars went on to acquire several more distilleries: Royal Lochnagar (1916); Benrinnes (1922); Pulteney (1923); Aultmore (1923); Glen Ord (1923); Parkmore (1923); they also part owned Yoker (1918) & Port Ellen (1920). They had also merged with James Buchanan & Co in 1915, who owned Convalmore and Glentauchers. Buchanan-Dewar merged with DCL in 1925. 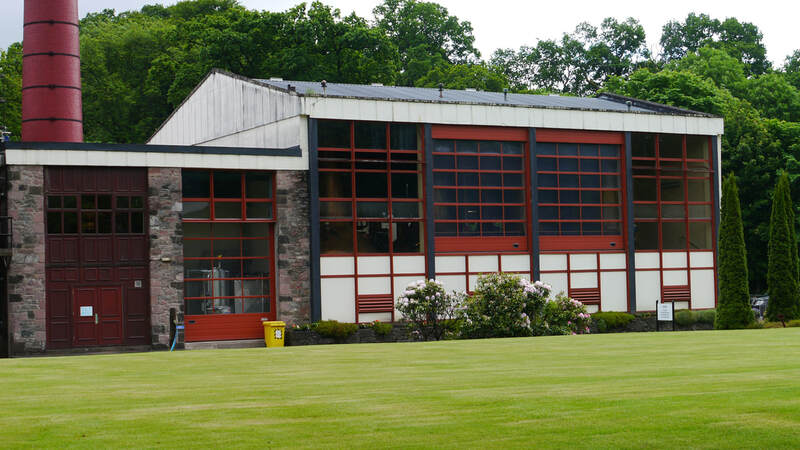 In 1998 after the creation of Diageo, the Monopolies Commission required them to sell some distilleries, so John Dewar & Sons (with Aberfeldy, Aultmore, Craigellachie and Royal Brackla) was sold to Bacardi. It is the only Bacardi distillery open to the public - primarily as a showcase for Dewar's. The label of the 12yo used to feature a red squirrel - inhabitants of the woodlands behind the distillery. Across the road from the distillery flows Scotland's longest river, the Tay. 12yo, 16yo and 21yo constitute the standard range - all bottled at 40%, occasional other special bottlings. 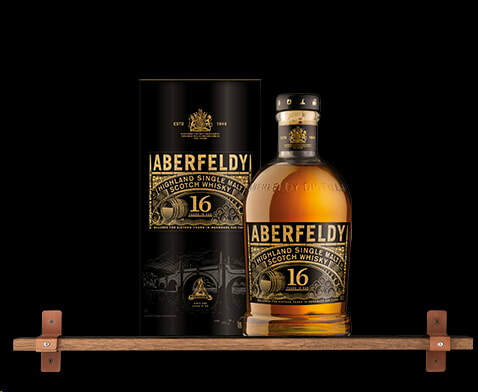 Independent bottlings of Aberfeldy are quite common, particularly from Gordon & MacPhail. Also have basic spares and "a maintenance bar for emergency bike repairs"
Photos on this page were taken by me. Click on photo to enlarge. 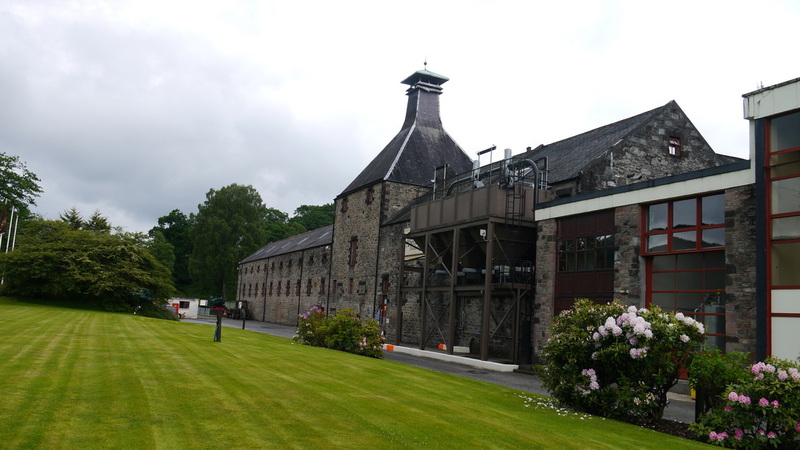 Full size versions of all my photos of Aberfeldy Distillery are available on Flickr.